Who would have thought a staycation in Manila was a viable option? We got to experience one during Chinese New Year at Ramada Manila Central in Binondo where we spent the night before the Lunar New Year. 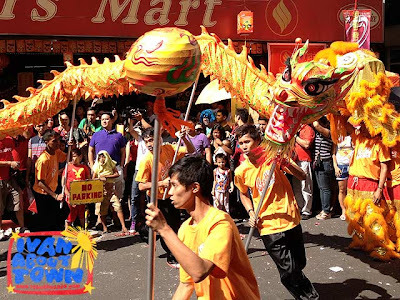 It was a very convenient way of enjoying Manila Chinatown cuisine and the festivities the next day within walking distance from where we were staying. In fact, as soon as we were done checking-in at the hotel, we went straight for dim sum at President Tea House. Restaurants were full that night since it was the bisperas and we had to queue. But it was well worth the wait as we enjoyed some really good Tsinoy food. To get rid of the obvious weight gain from the sumptuous food, we walked around Binondo's interesting streets (which are very quiet on a normal night) and visited some of its hidden temples. 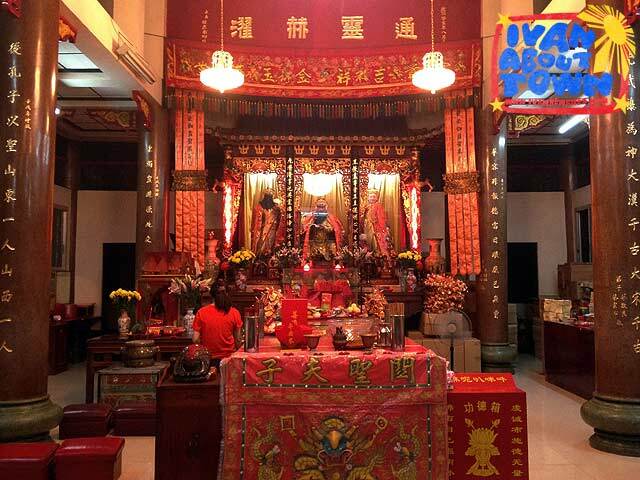 I say hidden because most of them are located on the roof tops of buildings, such as the Te Ah Kong (Teyakong) Temple, a Taoist temple located near the corner of Ongpin and Kipuja Streets. Another interesting temple nearby is the Shi Ong Hu Temple along T. Alonzo Street, a Buddhist temple which occupies at least two floors of the building where it is located. We were back at Ramada Manila Central before midnight and watched the fireworks from our hotel room window. 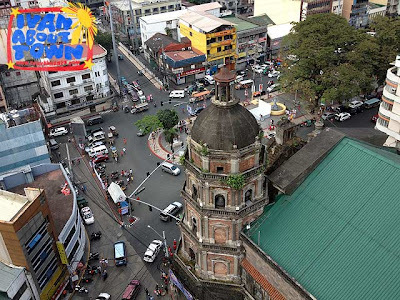 The next day, we visited the roof deck bar of the hotel to see the view of Binondo from above. Ongpin was alive and crowded with so many visitors enjoying the festivities. Later in the morning, we got to watch the lion dance hired by the hotel before moving around. 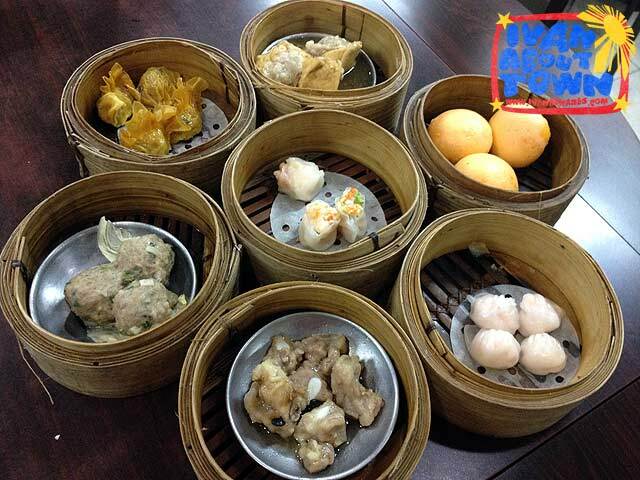 Lunch was at Xiao Chun Yuan Restaurant near the corner of Ongpin and S. Padilla (Gandara) Streets. 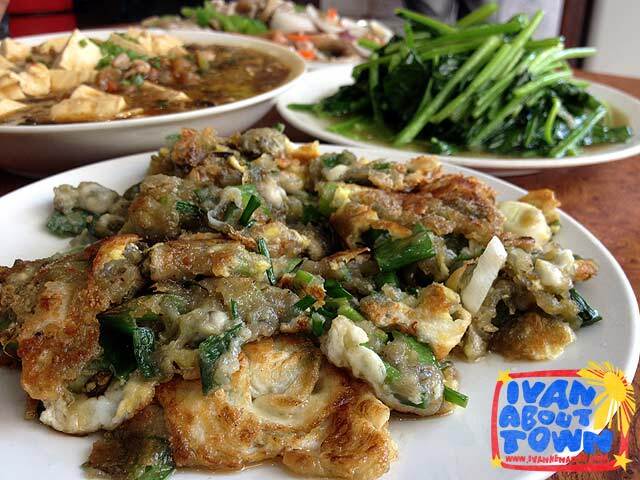 We tried out their Oyster Cake, Mapo Tofu, Polonchay and Pork Mushroom, another hearty Chinatown meal! For the afternoon, since it was a bit hot, we went back to the hotel to take a nap. Anyway, most of the dance troupes were resting as well. By late afternoon, all the troupes were out again. Aside from the lion dances, we also got to see colorful dragon dance troupes. Unfortunately, the out of place freak shows were making their appearances as well, trying to compete for attention with the genuine lion and dragon dance troupes that are an inherent part of the celebration. These outsiders should be reminded that it isn't Ati-Atihan, nor was it a Pride March, or even Halloween (poor business owners were trying to shoo away people dressed as aswangs dancing in front of their establishments since to them, they are malas or symbols of bad luck). These outsider groups, mostly drag queens, fire eaters and fiesta drummers, were obviously there for the money. So at the very least, they should have matched their acts with the occasion which was Chinese New Year. And visitors should stop giving them money so as not to encourage them to come back again next year. But at least I noticed more lion dance troupes this year which was a good sign. 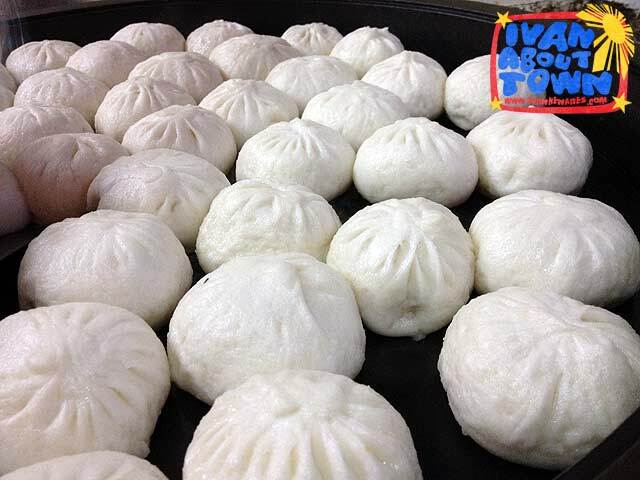 The main reason we went out was to get some Fried Siopao from Ching Hong Foods along Benavidez Street. We got there just in time since a new batch was about ready for serving and this sumptuous snack is sold out before you know it. 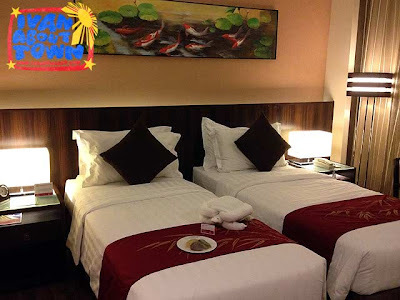 We actually so enjoyed our stay at the hotel so much because of the convenience that we decided to extend for another night to experience more of Chinatown. Dinner was at the Royale Sharksfin Seafood Restaurant (no we did not have sharks fin and I hope they don't serve it), which according to my tokayo, Mr. Old Manila Walks, is one of the best restaurants in Binondo. We were not disappointed. Before calling it a night, the two Ivans got a foot massage at the spa located at the first floor of the hotel, a perfect way to end the night, especially for Ivan Man Dy, who had been touring people around Manila Chinatown the whole day. 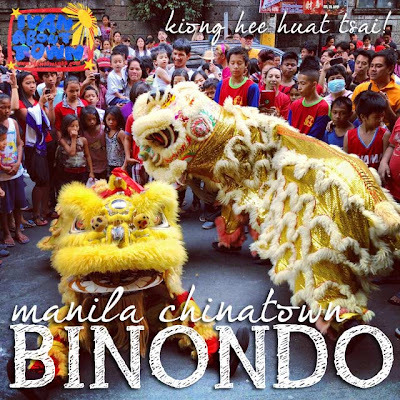 It may not be as festive on other days, but Binondo is worth a staycation any day of the year if only for the food! 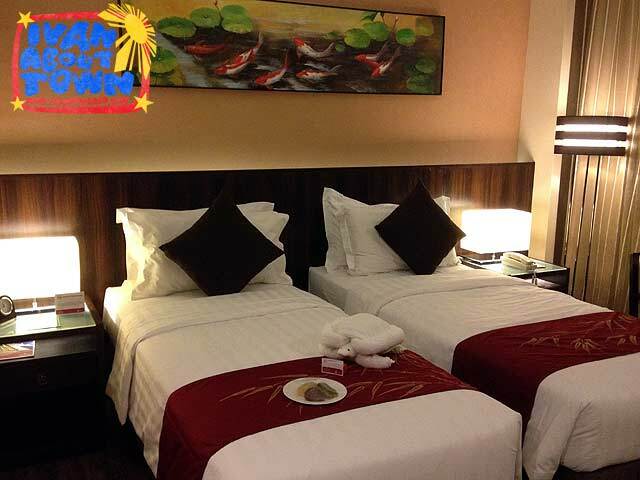 Ramada Manila Central, a Wyndham hotel, is conveniently located at the corner of Ongpin and Quintin Paredes Streets, beside Binondo Church. Rooms are cozy and comfortable. And its location makes exploring Binondo even easier. Hi again! Nung nakita ko itong picture mo ng Oyster Cake I remembered the time when we celebrated Chinese new Year jan din sa Binondo. Chinese with a Filipino touch as my Dad used to say. And might I say, what a great way to end the day with foot massage. More power po sa inyo!